Not too long ago, Steve Jobs said that we’re now living in the Post-PC world, and to be honest it’s looking like he’s right. Growing tablet sales have severely dented laptop and PC sales as people look for more portable and affordable options for home computer use, which they can bring with them easily. The MacBook Air really was the first true Ultrabook, but with PC sales on a slow downward slant, many manufacturers have been quick to jump on the bandwagon and brought out their own super-slim devices. If you can’t get an iPad, what can you get? Recently it’s been announced that the iPad accounts for an incredibly impressive 89% of global tablet usage. While it had always been expected that the iPad would be the major tablet in use around the world, the shear volume has been somewhat surprising. Ever since the iPad hit the Market two years ago, competitors have been quick to jump on the bandwagon (quicker than the handset one). So what exactly are the alternatives? Samsung offer the best alternatives, with two tablets; Galaxy Tab and v10.1 which are both very impressive devices running android. The original Galaxy is small at about 7inch screen space and is a pretty nice tablet to give the light users. It’s flash enabled and the nice screen is great for magazines and newspapers. 10.1 which is a larger, newer version of the Galaxy tab is for perhaps a more advanced user, running the latest Android OS, it’s slim with a nice big screen. Probably the closest competitors to the iPad. HTC who produce probably the best Android and WP7 handsets have tried their hand at tablets with the Flyer, it’s a nice little 7inch tablet running Android 3.0 Gingerbread. Slightly bulkier than the iPad, it feels like a solid device, and also looks pretty good in the hand. Unusually for a modern tablet, it comes with a stylus pen, while it’s nice to have as an option it does make the otherwise swish tablet feel quite dated. The BlackBerry PlayBook is really the last of the big competition to the iPad, the HP Slate just never caught on after being pulled a few times, and the Acer Iconia runs the whole Windows OS, making it awkward. But the PlayBook has been recently released, it’s slim, smooth and overall a very nice tablet. Running the same OS as the International Space Station this tablet is a very reliable sort, with an easy to use operating system and. Multitasking natively. There’s a good selection of other tablets available on the Market, with probably many more going to be released, but for the time being the iPad corners the Market, and it’s easy to see why. All of the above tablets are available in Ireland either through mobile operators or PC World and HMV. Acer gets into hot waters, with warm laptops. Acer has announced that it is to recall several of its laptop lines after serious overheating issues arose in some models. 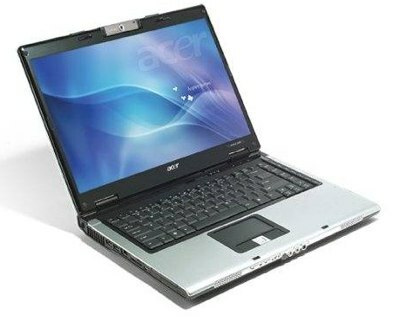 The affected laptops are from Acer’s Aspire line, and the Chinese manufacturers have recalled the following model numbers; AS3410, AS3410T, AS3810T, AS3810TG, AS3810TZ and AS3810TZG. The issue has come from a wire leading to the internal microphone, which runs under the area where users would rest their palms. Although no injuries have been reported, Acer has said that it had gotten complaints from at least three customers. The company has asked that users should stop using their laptops, and if necessary, contact Acer who will offer free repairs for all affected customers.